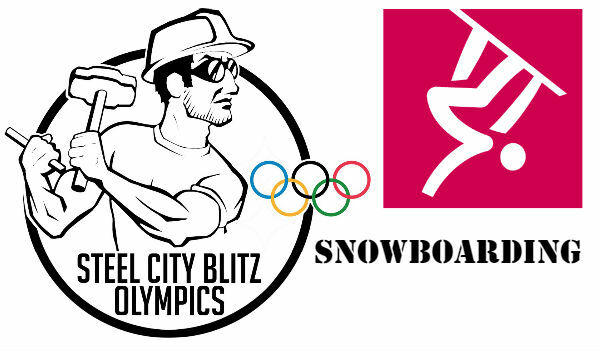 One of the new offerings at Steel City Blitz this offseason is coverage of the 2018 Winter Olympic Games. The 23rd Winter Olympics will take place in PyeongChang, South Korea, beginning on Friday, February 9th. 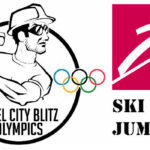 Over the week before the Games kick off, we will be previewing each of the 15 events that will comprise the Olympics. For many people, they only pay attention to some of these events once every four years, so consider this a quick refresher on how they work and who to watch for as the Olympics take over the sporting world for a fortnight in February. You can check out all of our Winter Olympics event previews here. Today’s preview covers Snowboarding, an event that Americans have dominated thanks to the heavy influence from the X Games. Snowboarding was added to the Winter Games in 1998. If you’ve seen the X Games, you pretty much know what to expect here (including America dominating the medals). The Halfpipe is probably the most well-known competition and features the most exciting jumps and aerial tricks. Slopestyle is pretty much straight out of N64 1080 Snowboarding. Yes, that’s the second N64 reference I’ve made in these previews. If you never had one, what did you do with yourself in the late 90s/early 2000s? The Parallel Giant Slaloms feature head-to-head races on identical courses down a hill. The Parallel Slalom event lasted only one Olympics and was replaced this year by the “Big Air” event. The Big Air event features one massive ramp and is essentially a “ome jump, one trick” contest. In Snowboard Cross, groups of four race through the course with the top finishers advancing through the tournament to the medal round. The United States has dominated snowboarding competitions at the Olympics and won twice as many medals (24 total, 10 Gold) as the next closest nation. Switzerland (12 medals, 7 Golds) and France (10 medals. 3 Gols) have also traditionally performed well. Entering the Olympics, the top three in the Halfpipe World Rankings all hail from Japan (Yotu Totsuka, Defending halfpipe silver medalist Ayumu Hirano, and Raibu Katayama). Belgium has a chance at their first snowboarding medal in Big Air as Seppe Smits tops the world rankings. Russia’s Vic Wild won both the Parallel Slalom and Parallel Giant Slalom in Sochi. The French have traditionally performed well in Snowboard Cross events, and defending Olympic gold medalist Pierre Vaultier tops the world rankings. On the women’s side, Jiayu Liu and Xuetong Cai of China both rank in the top three in the world in halfpipe. Austria’s Anna Gasser tops the Big Air world rankings. A trio of French women (Chloe Trespeuch, Charlotte Bankes, and Nelly Moenne Loccoz) are all ranked in the Top 5 in the world in Snowboard Cross. Keep an eye on the German and Austrian women in the Parallel Giant Slalom. Shaun White has been the face of snowboarding in the United States for nearly two decades and returns for another Olympic Games as a two-time gold medalist in Halfpipe. In Women’s halfpipe, Chloe Kim is atop the world rankings and three-time Olympic medalist Kelly Clark returns for her fifth Games. The US swept gold in Slopestyle in Sochi and should perform well again. Women’s gold medalist Jamie Anderson returns and is currently in the Top 3 in the world. On the men’s side, Redmond Gerard is the top-ranked slopestyler in the world. A trio of American women (Jamie Anderson, Julia Marino, and Hailey Langland) should all challenge for the podium in Big Air. Lindsey Jacobellis is the only American woman to medal in Snowboard Cross, back in the inaugural year of 2006 in Turin, and will return ranked 5th in the world with a shot to medal if she can break through the French triumverate.